CATTOR offers an order planning that includes absences and skills of each field service engineer. It's possible to assign each FSE his skills of each component type. When planning orders possible field service engineers can be filtered by skill. When hovering the mouse over a planned order additional information about the order is shown. Field service engineers have CATTOR installed on their notebook. When connected to the company network data between the main database and the notebook is synchronized. Optional the field service engineers can be equipped with iPads running CATTOR Mobile. 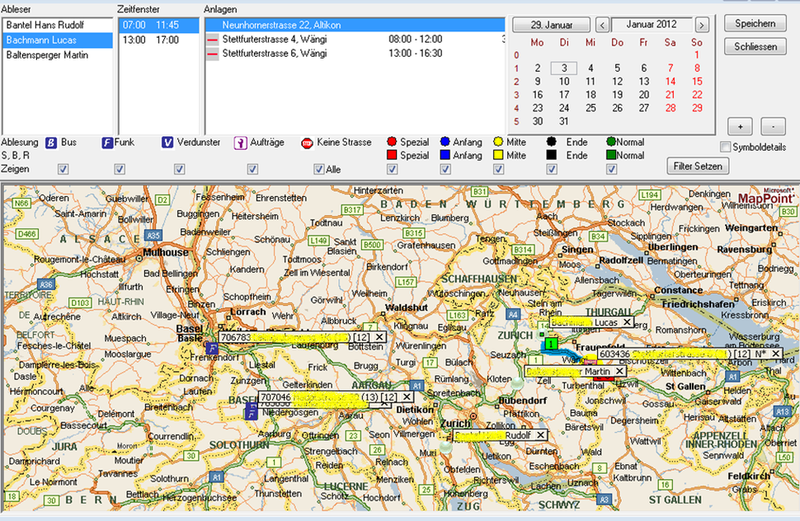 Order with the state "Ready for planning" are shown in the view with the not planned orders, An order can be planned with Drag & Drop by dropping it on a day and time on the calendar of the desired FSE. An order can be assigned to one or multiple field service engineers. An order can be planned for an hour or multiple days. 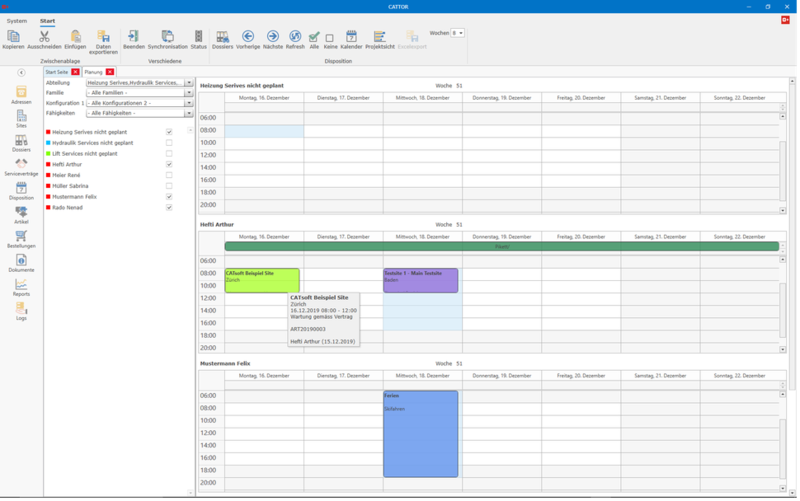 All appointments can be synchronized bidirectionally with the Google Calendar of the FSE. With CATTOR Route the planning can be done on a map.